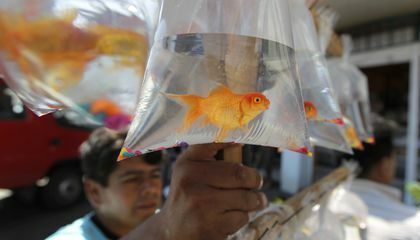 The goldfish interfere by destroying the habitat.They destroying it by spreading a disease in the water. They are also are spawning in different place .Like in Colorado and in the rivers .They are get bigger and they are spawning in warm water. I think goldfish are cool.It is amazing how it only takes them 5 days to travel in one mile. 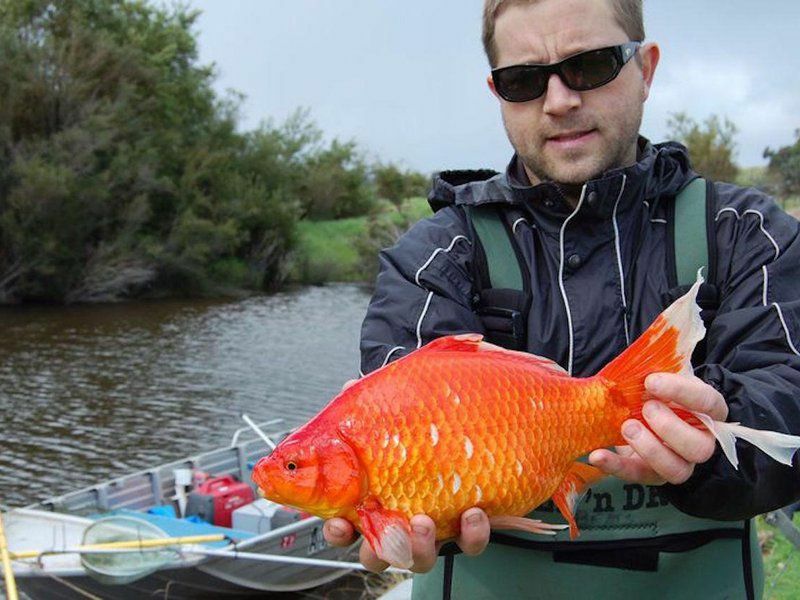 One fish swam up to 3.35 miles in a whole 24 hours. They also invaded in Australia. You need to add more information about the text. I think that the story was good. I learned a lot about goldfish. There is a lot of history in that story. You can learn a few things about goldfish that you might not have known before. If there is someone at there who wants to know more about goldfish that you don't know you should read this story. I didn't know that fish could swim down stream for five days. That's something new that i didn't know. I think that it's awesome that fish can do that i wish human could. I also didn't know that fish can grow huge. The fish eat in frenzy's and causes mud to rise from river making plants degrading the river. The story i read about was about goldfish that have been invading rivers for the last 15 years. Its a good story these fish are small bright and cute creatures. They also have a certain name they are called Carassius Auratus. The last thing i want to say is i liked to say bout the story is i found it intresting that these fish can swim a mile in water within 5 days that is kinda weird to be honest and cool. I like how you used what the text gave you, to answer the question and stated some background knowledge.